This spring, join Marilyn Kallet for a two-week workshop in one of France's most beautiful villages, Auvillar. 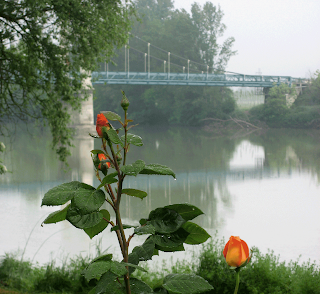 In its third year, "O Taste and See: Writing the Senses in Deep France" is a writing workshop with emphasis on (but not limited to) poetry writing. To steep all your senses, the workshop includes professional photography and gourmet cooking demonstrations. "Everything is poetry in Auvillar." May 14-21. For more information, click here. 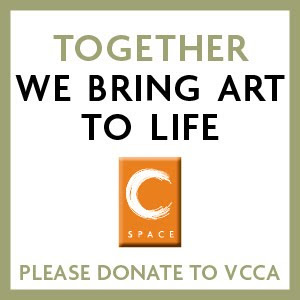 Please Click Below to Donate to VCCA - and Thank You! 2011 will mark the 40th anniversary of VCCA. A special poetry anthology showcasing 40 years of work by VCCA poets will commemorate the occasion. The working title is VCCA Poems and Poets: A 40 Year Retrospective. A themed anthology, it will be limited to poetry about, related to or inspired by VCCA. Patterned after the well-known popular annual Best American Poetry series, this anthology will include only poems that have been previously published in journals or collections. Deadline for submissions is January 15, 2011. For submission templates or more information,click on the "Call to VCCA Poets" button above. We can't wait to hear from you!